In a cluttered studio apartment on the outskirts of Verona, Romeo sits down at his desk and picks up his quill. His best friend Benvolio has been at him again. Time is running out for marriage, Benvolio has said, and there’s only one cure for his latest heartbreak. Online dating. Resigned, his handsome brow furrowed, Romeo scratches and blots his way through a profile. “By a name, I know not how to tell thee who I am,” he begins, “nor am I equally at ease in jeans or formal wear.” Then, in spite of himself, he continues, “I cherish jousts of words, and jousts of love, and those who romance beyond words.” Not entirely appalled, he opens his Mac, takes poetic license with his height and build, adds a selfie shot in the bathroom mirror, and prays for the best. 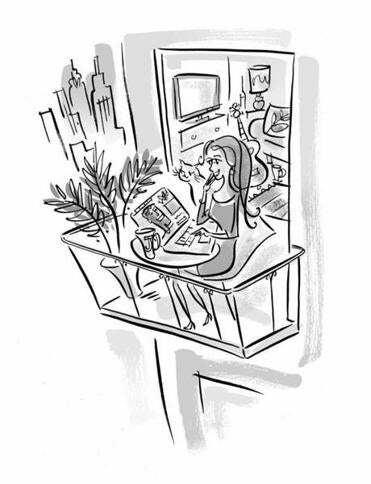 Meanwhile, across town, Juliet has just logged in. Through her 20s she swore, especially to her mother, that marriage was an honor she dreamed not of, but with tenure now a lock at the university, her Facebook news feed overwhelmed with friends’ photos of weddings and babies, and her remaining Netflix options grown chidingly thin, she has begun to long for a partner. But does an increase in options, and an increased ability to navigate those options, actually increase the likelihood of finding love? What impact does the online-consumer model — a virtual warehouse of potential partners, stocked according to an algorithm designed to suit your stated tastes — have on forming a committed relationship? For one thing, Romeo and Juliet wouldn’t find each other today. Shakespeare’s star-crossed lovers met at a masquerade, which meant a party’s limited options and almost no information about each other, except the touch of Romeo’s hand and the heated flirtation of their words. But today’s Romeo and Juliet have a shopper’s catalogue of choices and set their search parameters to find exclusively what they’re looking for. And given the centuries-old feud between the Montagues and the Capulets, they’re not looking for each other. Perhaps Romeo, like most of the Montagues, is short; perhaps Juliet, like most of the Capulets, is a bit stout. In person, they find many types of people attractive. But with online dating, given the option to rule out the short and the stout, they do. Which raises another question: Does a more bounded context, with fewer choices and less sense of control, help us with what the theologian William F. May calls “an openness to the unbidden?” And, even more complicated, do the greatest love affairs come from finding what we’re looking for, or from finding what we don’t know to look for — from the alchemy that flares when the unbidden happens to find us? As with most questions of love, there are no easy answers. But these questions do prompt an important distinction between great love affairs and great committed relationships, which may not entirely overlap with each other. For securing the latter, many of the singles I asked said they find Internet dating helpful. They prefer a large pool of prospects and the power to vet those prospects in advance. Granted, certain indignities can result from the efficiency approach: One friend told me she felt like a horse whose teeth her date was inspecting before purchase; another said she feels like she’s dating everyone and no one at the same time. But for the privilege of casting a wide net, and of not having to catch a stranger’s eye in public when he’s likely looking at his phone anyway, online daters endure. For great love affairs, though, having so much control may not be as helpful. It’s hard to start a fire with a checklist and an algorithm. No one trusts love at first click. This fall he’s moving to Boston. They’ve already met each other’s family. Theirs is a modern love story — one of both control and the unbidden, one of both playing the averages and following an exception. May all online daters be so lucky. Howard Axelrod is a writer living in Boston. His memoir, “The Point of Vanishing,” about the two years he lived in solitude in northern Vermont, will be released in the fall of 2015.